Save the Children is the world's leading independent organization for children. Save the Children strives to achieve a world in which every child attains the right to survival, protection, development and participation. Save the Children has worked continuously in Ethiopia since the 1960s providing support to vulnerable Ethiopian children and their families. Save the Children implements emergency relief and long-term development programs. The Ethiopia Country Office is currently the largest operation globally with more than 2,400 staff working in 50+ offices throughout the country. Save the Children is a Prime implementing partner of the Growth through Nutrition Project. The Gerald J. and Dorothy R. Friedman School of Nutrition Science and Policy at Tufts University, the only graduate school of nutrition in the United States, is dedicated to passionately advancing nutritional well-being for people worldwide through excellence in research and teaching and the shaping of public policy. Faculty and researchers conduct research supported by substantial external grants and contracts from federal sponsors, private foundations, and generous donors. Tufts University leads the implementation of the learning agenda for the Growth through Nutrition program. The learning agenda will prioritize issues that have broad relevance in the country to improve program design and approaches with a focus on implementation science. The learning agenda will provide evidence on an on-going, timely basis to allow for improvements and adjustments in implementation of nutrition-specific and nutrition-sensitive interventions and will include capacity building around knowledge sharing and use of evidence for policy and programming. Additionally, Tufts leads the development and implementation of Knowledge Management for Growth through Nutrition to effectively document and share information with internal and external stakeholders nationally and internationally. 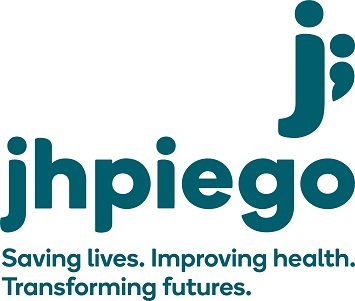 Jhpiego is an international, non-profit health organization affiliated with Johns Hopkins University. For 40 years and in over 155 countries, Jhpiego has worked to prevent the needless deaths of women and their families. Jhpiego is leading the implementation of the pre-service education component of Growth through Nutrition. Jhpiego works to strengthen nutrition and WASH pre-service education at higher education institutions in Ethiopia in collaboration with five ministries (Ministry of Health, Ministry of Education, Ministry of Agriculture and Natural Resources, Ministry of Livestock and Fisheries, and Ministry of Water, Irrigation and Electricity), participating pre-service education institutions, and nutrition partners and stakeholders. Since 1981, Land O’Lakes International Development has applied an integrated approach to international economic development. Land O’Lakes uses practical experience and in-depth knowledge to facilitate market driven business solutions that generate economic growth, improve health and nutrition, and alleviate poverty. As a sub-partner to Save the Children, Land O’Lakes is focusing on increasing access to diverse, safe and quality foods through nutrition sensitive livelihood activities. Specifically, Land O’Lakes is promoting more nutritious and productive varieties of vegetables, fruits, legumes, bio-fortified crops and small livestock. Growth through Nutrition is also supporting better use of inputs and cultivation practices to increase market availability of diverse foods, and begin to address concerns of food safety and post-harvest losses. World Vision is an international partnership of Christians whose mission is to follow the Lord and Savior Jesus Christ in working with the poor and oppressed to promote human transformation, seek justice, and bear witness to the good news of the Kingdom of God. In Ethiopia, World Vision focus on improving the well-being of children and their families. World Vision leads the implementation of Growth through Nutrition activities to improve access to safe water. Population Services International (PSI) is a global nonprofit organization focused on the encouragement of healthy behavior and affordability of health products. PSI was founded in 1970 to improve reproductive health using commercial marketing strategies and has expanded to work in over 50 countries in the areas of malaria, family planning, HIV, diarrhea, pneumonia and sanitation. PSI is headquartered in Washington, DC. PSI Ethiopia is an innovative network member of PSI and leads programs to prevent HIV and improve reproductive and child health. As part of the Growth through Nutrition consortium, PSI leads private sector engagement to improve access to sanitation and hygiene products through a market development approach that harnesses private entrepreneurship, public stewardship and technical expertise. The Manoff Group creates and applies innovative strategies and methods for solving problems in health, family planning, nutrition, environment and HIV/AIDS. For 40 years, The Manoff Group has been a leader in qualitative research methods, communications, training, and materials development for programs around the world. The Manoff Group provides technical leadership on the social and behavior change communication (SBCC) strategy of Growth through Nutrition. The Manoff Group will introduce improved communications materials (print and other media) that offer new approaches to Health, Nutrition and WASH products and services.